Having new carpets installed can be a costly affair, so it is understandable that people who own them want to get the most out of them for as long as they can. There is no reason to accept that they are doomed to deteriorate, or to avoid using them to preserve their pristineness. With these few easy tips, you can keep your carpets clean, mold free, and living forever. Ignore these tips, and you may find you’ll be making regular calls to professional carpet cleaning companies, just to keep up. Taking care of your carpet is easy to do, so why not start now? Floors attract dirt like nobody’s business, and carpets are excellent at storing and concealing that dirt in its fibers. If this debris is not removed, it will slowly but surely chop at the carpet’s fibers as it is walked on. To avoid this, “Carpet Cleaning Newhall” suggests vacuuming your carpet at least once a week to keep debris from ruining your rug. If you have pets, children or smokers in your house you may find you need to do this more regularly. Consider using baking soda in your vacuum cleaner’s bag to help with odor removal. It’s not pedantic to sort a spill out as soon as it occurs, it is in fact wise. The longer a spill is left to settle into the fibers of your rug, the more difficult it will be to remove later. If you want to avoid calling a professional to deal with carpet stain removal, then don’t let your spills sit for long enough to become a permanent fixture on your rug. Clean them immediately by extracting the spill with a dry towel, then dab it with a cloth of hot water and light detergent to get it out as quickly as possible. 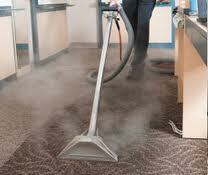 With regards to extensive carpet cleaning, there are two major types you should do regularly. The first is a surface cleaning. This is a "light" cleaning which will keep your rugs spotless for longer, and should be conducted at least twice a year. Deep cleaning on the other hand, works right into the fibers to eliminate even the most stubborn dirt which has probably been a part of your carpet for years. Doing one of these at least once a year will give your rugs new life, and make them last longer. Have you ever been to someone’s home who insists you take your shoes off outside? You probably have. While this isn’t always the most convenient way of going about things (especially for your guests), it is a failsafe way to keep your carpets fresh. This is especially true for those who stay in damp or muddy climates, you don’t want mud being traipsed through your house when you’re trying to keep your rugs looking like new.